In contrast to lumped dynamical systems, which are defined with respect to the temporal variable only, spatially interconnected systems are defined with respect to temporal as well as spatial variables (spatio-temporal models). Spatially interconnected systems are obtained by applying a spatial discretization to Partial Differential Equations, such that the resulting system is represented as a spatial interconnection of subsystems. The discretization is usually induced by an array of actuator-sensor pairs. An important feature of spatially interconnected systems is that they are causal with respect to time, but non-causal with respect to space. In practice, after the discretization the complexity of the resulting system often renders the associated analysis and synthesis problems intractable. Therefore, constructing reduced-complexity models without losing the characteristic features of the original model is of high practical importance. Standard model reduction methods do not preserve the structure of the system, while here the spatial interconnection structure of the system must be preserved in the reduced model. 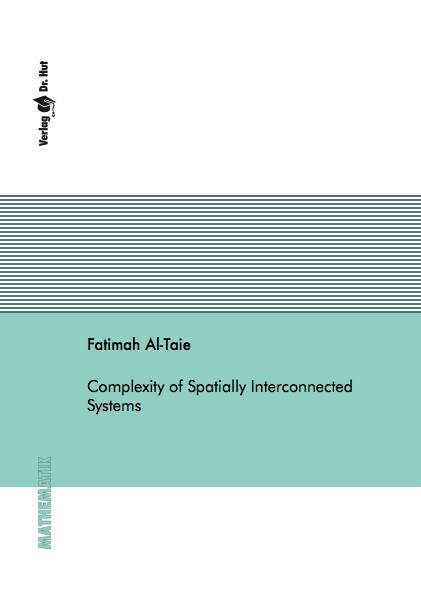 Spatially interconnected systems can be distinguished into time and space invariant, and time and space varying systems. This thesis studies and proposes methods for solving the reduction problem for both parameter invariant and parameter varying systems, where different kinds of complexities for such systems are considered.